In a Chats in the Stacks book talk Anne K. Armstrong, Doctoral Student in Natural Resources, will present her new book, co-authored with Marianne E. Krasny, Professor in the Department of Natural Resources and Jonathon P. Schuldt, Associate Professor in the Department of Communication, Communicating Climate Change: A Guide for Educators (Cornell University Press, November 15, 2018). 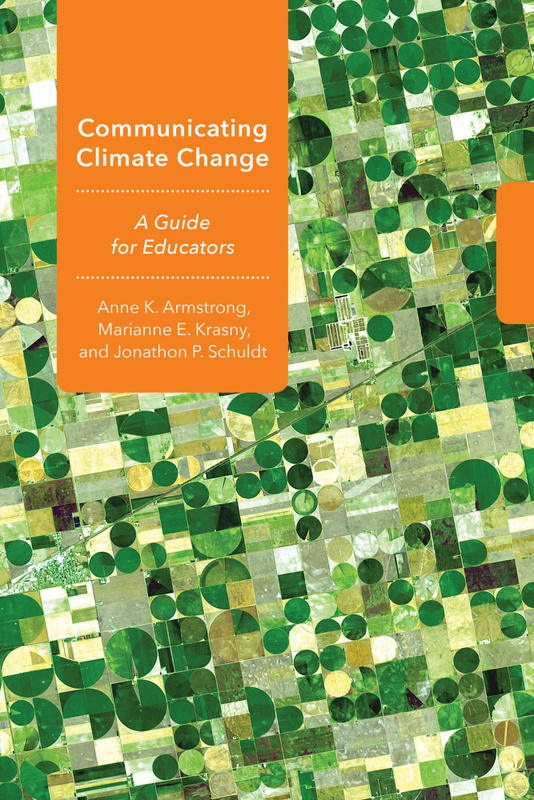 Armstrong will discuss how to provide educators with the tools necessary to understand both the complexity of the science and socio-political contexts of climate change, and how to formulate climate change educational programs that foster both dialogue and subsequent action in classrooms of all levels. This book talk is supported by the Mary A. Morrison Public Education Fund for Mann Library.